StarWars.com ha anunciado que Marvel Comics lanzará dos colecciones más de Star Wars con Star Wars Legends Epic Collection: The New Republic Vol. 1 y The Old Republic Vol. 1. El primero llegará a las tiendas de Estados Unidos el próximo mes de mayo recopilando Star Wars: Mara Jada, By The Emperor’s Hand Nº 0-6, Star Wars: Shadows of the Empire – Evolution Nº 1-5, Star Wars: The Jabba Tape, Star Wars: Boba Fett – Twin Engines of Destruction y material de Star Wars Tales Nº 1, 3-5, 10, 14-15, 20, 22. El segundo salrá a 1a venta en Estados Unidos en el mes de julio recopilando Star Wars: Knights of the Old Republic Nº 1-18 y material de Star Wars: Knights of the Old Republic/Rebellion Nº 0. 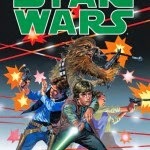 Según se ha anunciado a través de StarWars.com, Marvel Comics lanzará dos colecciones más de Star Wars con Star Wars Legends Epic Collection: The New Republic Vol. 1 y Star Wars Legends Epic Collection: The Old Republic Vol. 1. 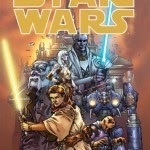 Star Wars Legends Epic Collection: The New Republic Vol. 1 llegará a las tiendas de Estados Unidos el próximo mes de mayo recopilando Star Wars: Mara Jada, By The Emperor’s Hand Nº 0-6, Star Wars: Shadows of the Empire – Evolution Nº 1-5, Star Wars: The Jabba Tape, Star Wars: Boba Fett – Twin Engines of Destruction y material de Star Wars Tales Nº 1, 3-5, 10, 14-15, 20, 22.